There was a buzz around the office here at Global Basecamps last week. 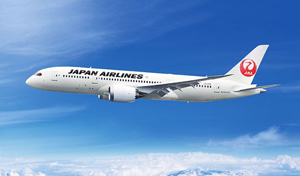 As a San Diego-based company, we are so happy to get word from Japan Airlines that they will be debuting the first non-stop flights from San Diego and Boston to Tokyo. According to Japan Airlines’ press release, “JAL will begin serving the eighth most populous U.S. city, also the city with the largest Asian community currently without a direct flight to Asia, with four flights a week from December 2012 and daily from March 2013 to/from Narita [Airport].” Surely, many Southern Californians will welcome this news as an opportunity to skip a commute to LAX for any direct flights to the Asian capital. Japan Airlines definitely had the Japanese business sector in mind when they created this route, as San Diego is the home to research institutions, universities and is closer to Tijuana, Mexico, where many Japanese companies conduct business, but this doesn’t mean that western travelers can’t take advantage of the new daily flights for their next ecotour! Not only will this make travel to Japan easier for Southern Californians, but Tokyo’s Narita Airport is also one of the major hubs for travel in Asia. That ecotour in Vietnam could only be one airport transfer away! This growth in the available routes, which also include direct flights to Helsinki, is only another sign of the staggeringly fast recovery of the Japanese travel industry after the tragic natural disasters of 2011. This news only supports our previous assertions that Tokyo tours are definitely back in business, and the Japanese tourism industry has its doors wide open and awaiting your arrival. For aviation nerds, this also brings a great opportunity to try out Boeing’s new 787-8 Dreamliner, which is making its debut to Southern California with this flight.